// - LA FEMME READERS - //: Books for Thought: What are some releases you read in 2013/2014? Books for Thought: What are some releases you read in 2013/2014? Books For Thought is a feature where I post a book-related question up for discussion. I am open to all opinions and enjoy reading diverse comments from my lovely followers. I look forward to picking your minds! Have a question idea? Share it here and I'll feature your blog in this post. I've been out of the blogging loop for a while now, so I'd love to get some reading suggestions from you all. What are some releases you read in 2013/2014 that is worth reading? 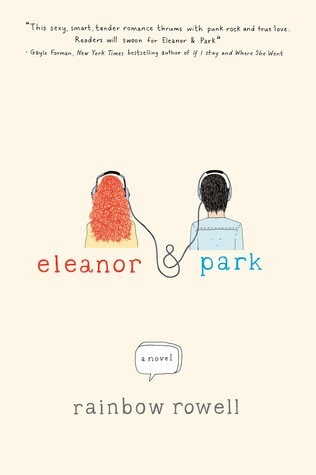 My Answer: Honestly, it's been awhile since I read, but the most recent book that I thoroughly enjoyed was Eleanor & Park by Rainbow Rowell. It was a great and witty read. I don't want to say too much since I'll be writing a review soon. 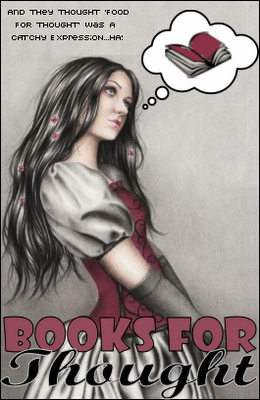 What are your bookish thoughts? I bought a copy of this one, but I need to find the time to read it. I also want to read Fangirl by the same author because I'm a TOTAL fangirl about things. I think I'll be able to relate. In 2013, I read Dangerous Girls by Abigail Haas. Such a good mystery/thriller. I keep hearing how fabulous E&P is! I really need to start that one soon. I agree with Shooting Stars up above - I read Dangerous Girls recently, and was so surprised by how incredible it was. I also loved Crown of Midnight, City of a Thousand Dolls, and The Book of Broken Hearts. I have this on and Fangirl on my tbr list as they have been getting so much attention. i like your post sir ,.. nice ..